If you have created a project on Spacehive, you might have noticed a blue box with the invitation to ‘Post an update’ on your project dashboard. You might even have given it a whirl once or twice before forgetting all about it. However the updates tool is a super smart way to build engagement throughout your campaign and also increase your pledges. Check out our quick guide to ‘updates’ below and learn how, when and why to use them. What is the updates tool? The updates tool allows you to post a message with links, images and videos to everyone who has liked, backed and followed your project. 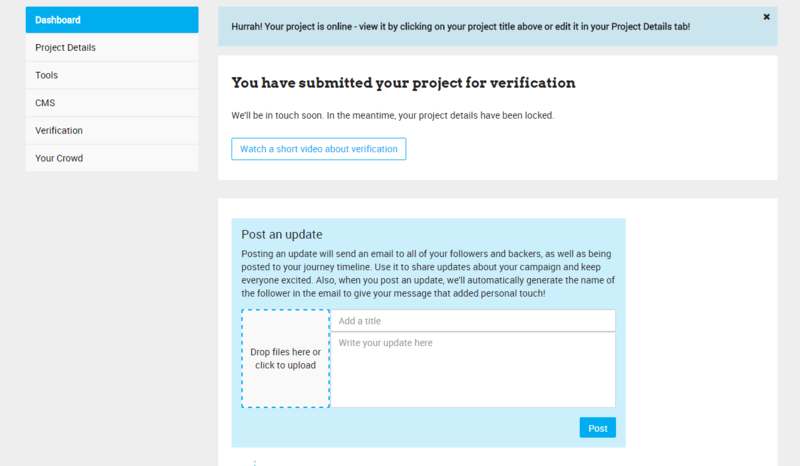 Updates appear both on your project timeline and in an email to your project’s supporters. You can see who your updates are going out to by checking out the ‘Your Crowd’ tab further down the page. 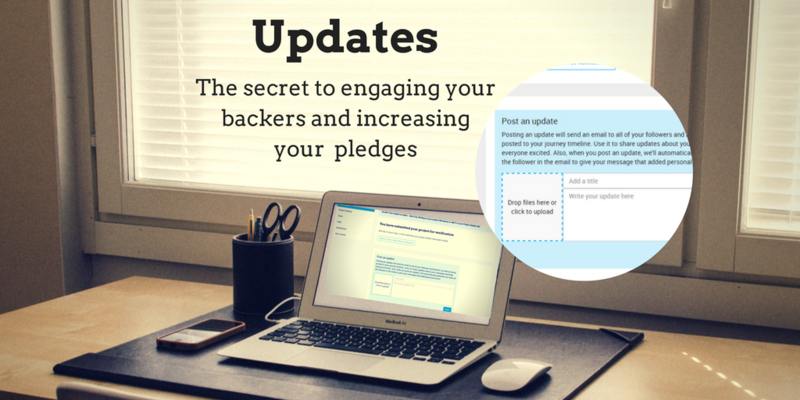 Updates keep your backers interested and involved in your project, encourage them to get their network to support you and might just motivate them to pledge a little more to your campaign. All pretty solid reasons to give updates a go. However the biggest reason to start using the updates tool is that projects receive 25% more pledges on average after sending out an update! Boom! That’s what we’re talking about. What should I include in my updates? Press – have you been featured in the newspaper, on the radio or TV or even in a local blog? Tell people! It adds to the legitimacy of your campaign, spreads awareness to new audiences and is a reason to get people to share your project links again, and again, and again! The most important thing to include in all of your updates is a strong call-to-action asking people to a) pledge b) get other people to pledge or c) share the link to your project with the people that they know. How often should I send out an update? Every project is different but a good rule of thumb is to start off slowly and increase the number of updates as you increase the number of backers. At the beginning of you campaign, use the tool sparingly until you’ve got a critical mass of supporters. Towards the end of your campaign, the number of updates you post is likely to increase as you galvanise your support in the last few days to get your project over the line. Updates should be used alongside social media outreach, emails, posters, leaflets and events to raise awareness, build support and ultimately get your project funded. For more crowdfunding advice and support, we’re here to help – follow us on Twitter @Spacehive, explore our blog, join our monthly webinar or sign up to our weekly newsletter.